Over seven hours of high yield science review for the Medical College Admission Test (MCAT). 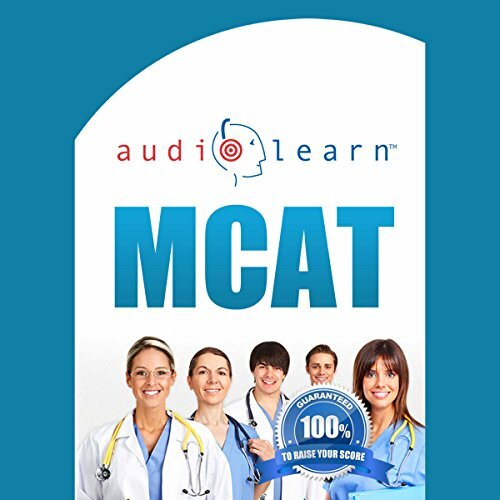 Professionally narrated by two medical doctors for accuracy and easy listening, it covers every theory, fact, formula, and equation likely to show up on the MCAT. Discover for yourself what a powerful method audiolearning can be for comprehension and retention of massive amounts of information. Add this powerful tool to your MCAT preparation arsenal. If you're looking to enter medical school in the United States, you'll almost certainly need a good, recent score in the standard MCAT. Nearly 50% of all MCAT test takers sit for the MCAT a second time due to inadequate preparation. Statistically, students who do well spend up to 300 hours preparing for the exam. It is our goal to make this process easier and more affordable than ever before. If you have any questions about this product by AudioLearn, contact us by completing and submitting the form below. If you are looking for a specif part number, please include it with your message.